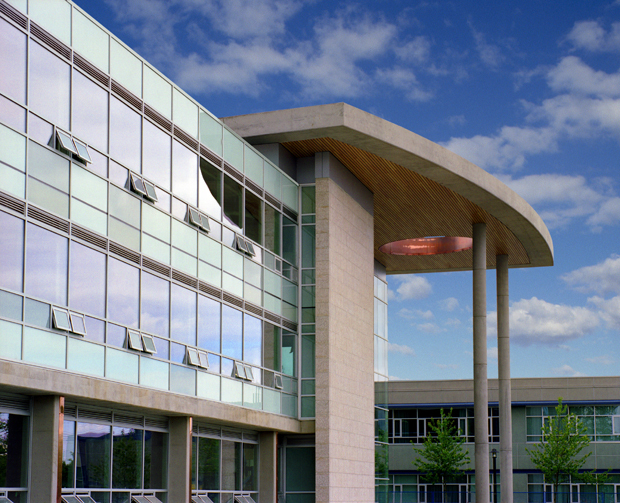 This addition is located in front of the existing Administration Building, and serves as an new expression of the expanded and enhanced Kwantlen Polytechnic University Surrey campus to both students and the public. The prominent location and significant presence of the building provides Kwantlen with a new front door to the campus to welcome and orient students and visitors to the student services, offices and classrooms contained within the new facility. The configuration of the building and adjacent atrium establish and reinforce the connection to the central campus courtyard around which the existing library, classroom and office buildings are arranged. 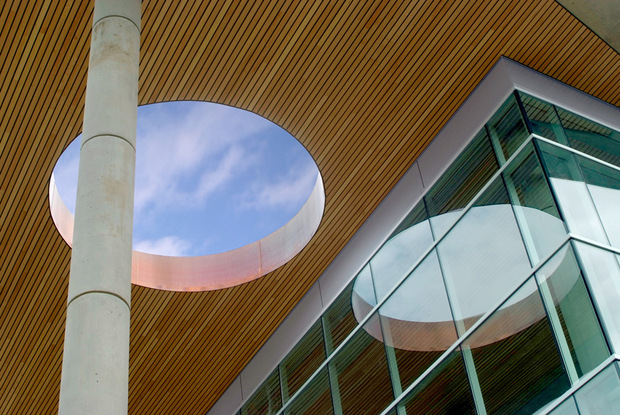 The new light-filled three storey atrium bridges the gap between the old and the new buildings which features a dramatic canopy with a copper ringed oculus and wood soffit.